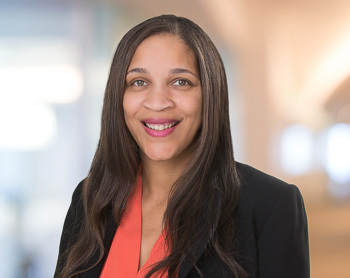 Clarissa R. Canady is Managing Shareholder of the San Francisco office and Chair of the firm’s Business, Property and Finance Practice Group. She is also a member of the firm’s Litigation and Charter Schools Practice Groups. She has represented public entities in real property transactions and land use issues her entire career. Her practice includes property acquisition and disposition, leasing, construction financing, compliance with statutory and regulatory procedures such as California Environmental Quality Act, Field Act and other related land use matters. Clarissa has handled a variety of environmental law issues on behalf of public entities. Her practice includes significant work in assisting school districts with compliance with the California Environmental Quality Act, including, analysis and preparation of Notices of Exemption, Initial Studies, Notices of Preparation, Negative Declarations, all forms of Environmental Impact Reports, Mitigation, Monitoring and Reporting Plans and Notices of Determination. Clarissa also handles a range of litigation matters brought against school districts under CEQA. She handles matters involving acquisition of property under the California Eminent Domain Law, including site selection, appraisal and title review, acquisition negotiations, relocation assistance, statutory notices to property owners, governing board resolutions and findings. Clarissa handles all aspects of eminent domain litigation from the filing of condemnation actions to obtaining the final order of condemnation for school district clients. She also advises school districts on charter school facilities issues, including state funding under Proposition 1D and facilities requests under Proposition 39. Clarissa has presented at numerous CLE seminars covering topics such as eminent domain law, valuing contaminated property, redevelopment and regulatory takings. She is also a licensed California Real Estate Broker.